Susan was born in Atlanta, Georgia, grew up in upstate South Carolina and spent childhood summers with her grandparents in Montreat, North Carolina. She obtained Bachelor of Arts and Master of Arts degrees from Clemson University. After graduation from the University of Georgia School of Law, she returned to the mountains of Western North Carolina to begin her career at Adams, Hendon, Carson, Crow & Saenger, P.A. where she practiced law for over 25 years. Upon the dissolution of that firm in 2017, she joined Patla, Straus, Robinson & Moore, P.A. Susan assists individuals and families with estate planning and estate administration, from drafting the initial estate plans to handling the administration of estates. As part of her estate planning practice, Susan prepares wills, trusts, powers of attorney, health care powers of attorney and living wills, and advises clients on tax planning, trusts for minor or incompetent beneficiaries, business succession planning, and planned giving. Susan's experience in the development of residential communities has given her an understanding of the requirements of the North Carolina Planned Community Act, and she regularly assists property owners in the development of restrictive covenants and association governing documents; homeowners’ association boards in the review and amendment of restrictive covenants and management of associations; and home owners in negotiations with their association boards. Susan also represents clients in the formation, management and operation of business entities, homeowners’ associations, and charitable organizations. This often includes preparing documents to establish entities; drafting, negotiating and reviewing contracts, transactional documents, leases, and various agreements; and preparing resolutions, minutes, buy-sell agreements and other governance documents. 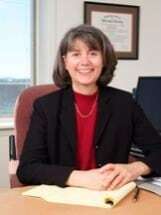 Susan also currently serves as the Town Attorney for the Town of Montreat.